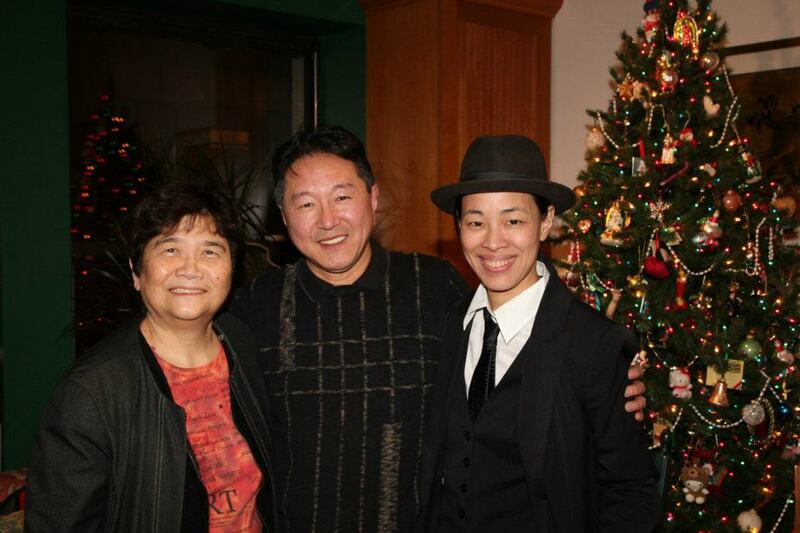 Christmas came early for me this year, in the form of R.A. Shiomi’s award-winning play Yellow Fever, when I played the lead, Japanese-Canadian gumshoe, Sam Shikaze, in an all-female cast reading of the play at the home of Julie Azuma and Tamio Spiegel on December 5, 2011. Playwright and co-director Rick Shiomi, Cindy Cheung, Susan Dalton Quinn, Amanda Galang, Ako, Katie Lee Hill, Lia Chang, Gyu Jin Lim and co-director Raul Aranas. 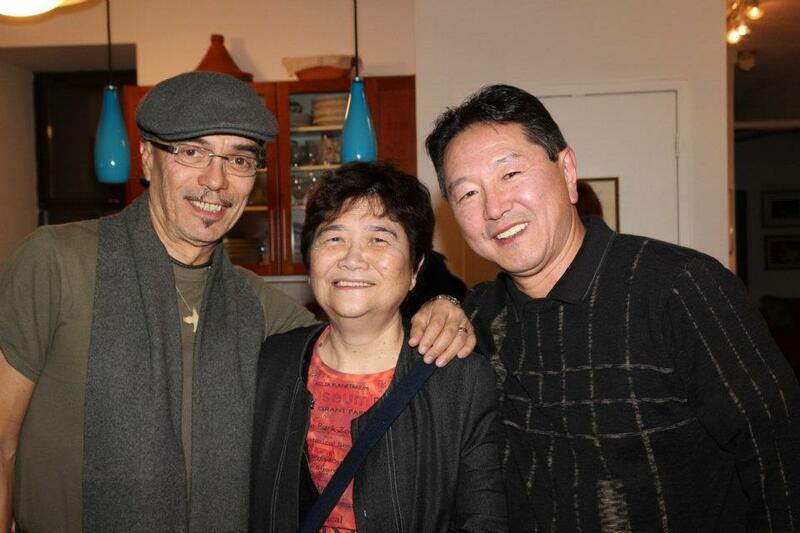 The reading was co-directed by playwright Rick Shiomi and actor/director Raul Aranas, who helmed Pan Asian Repertory Theatre’s critically acclaimed Off-Broadway production in 1982. 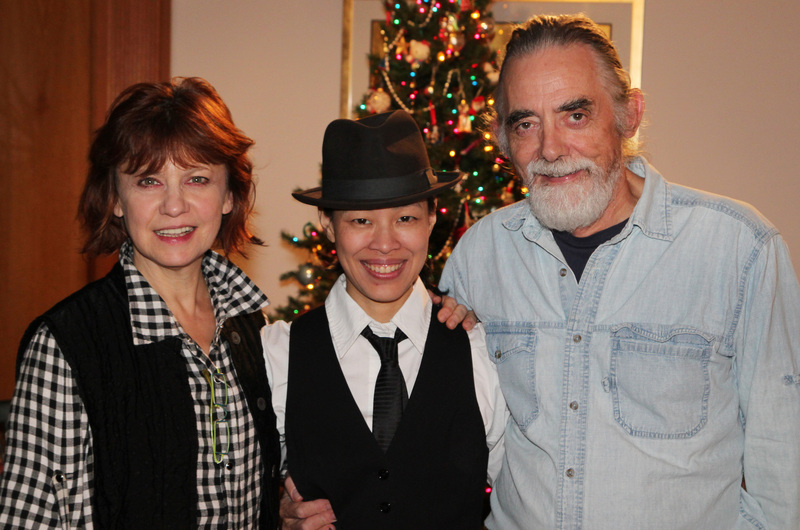 It was an exhilarating and historic evening to be performing in my favorite play with my longtime colleagues Cindy Cheung (Captain Kadota) and Ako (Rosie); in addition to Susan Dalton Quinn (Sergeant Mackenzie), Katie Lee Hill (Nancy Wing), Gyu Jin Lim (Chuck Chan) and Amanda Galang (Superintendent Jameson, Goldberg). In the house to support- Reme Grefalda, curator of ASIAN PACIFIC AMERICAN PERFORMING ARTS COLLECTION housed in the Library of Congress Asian Division’s Asian American Pacific Islander Collection; actors BD Wong, Gordana Rashovich, Jarlath Conroy and Karen Tsen Lee; Heading East lyricist and librettist Robert Lee, novelist Ed Lin, photographer Brianne Michelle Planko; and Mina Manalac. 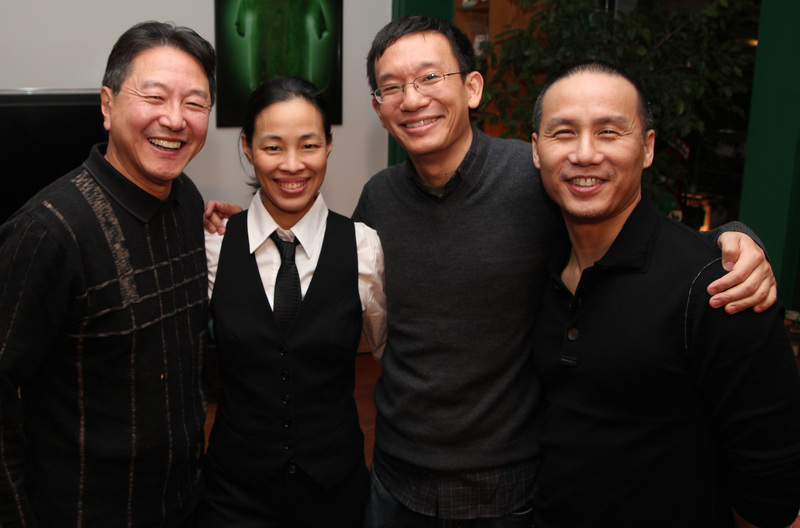 On March 10, 1982, Yellow Fever premiered at the Asian American Theater Company and garnered Shiomi numerous awards including a 1982 Bay Area Theater Circle Critics Award and a 1982 “Bernie” for new play from the San Francisco Chronicle. The play opened in New York on December 1, 1982, and has received productions around the world including Los Angeles, Toronto (1984 Ontario Multicultural Theater Award), Seattle and in Japan. Yellow Fever‘s Sam Shikaze is a Japanese-Canadian private eye from the Sam Spade School of life who lives and works on Powell Street in Vancouver. 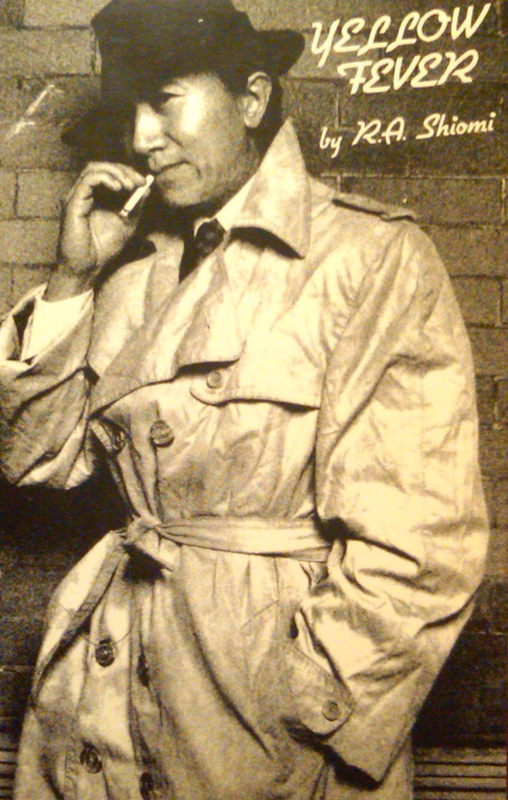 In Sam’s words, “Being a private eye doesn’t give you that nine-to-five respectability, but you call your own shots and you don’t have to smile for a living…and that’s the way I like it.” Sam’s life is complicated by the disappearance of the local Cherry Blossom Queen. Hired to find her, he soon falls into a maelstrom of deception, racism, and political intrigue, all of which lead him to the Sons of the Western Guard. Lia: Where did you get the idea for an all-female cast? Rick: This idea for an all-female cast reading of Yellow Fever came from Raul Aranas. And candidly my first reaction was that would be odd, because the play comes from such a deep male perspective and reflects many of those old fashioned male values (think detectives and film noir). But when I saw Raul at a performance of Twelfth Night produced by Leviathan Theatre Lab in New York in November, he urged me to consider it again and I decided to pursue the idea. And as I thought about it and talked with my peers, the idea became more and more fascinating. We were quickly able to put together the reading with actors we both knew. Lia: What were you thinking as the evening unfolded? Rick: It was a mind opening experience to realize how the universal qualities of the characters and story could be embodied by the female actress in a new way, and not simply women trying to be men. The reading became a new way to look at the play and the performers and that was exciting. I want to thank the cast for their participation and instant willingness to dive into this reading with great skill and enthusiasm. 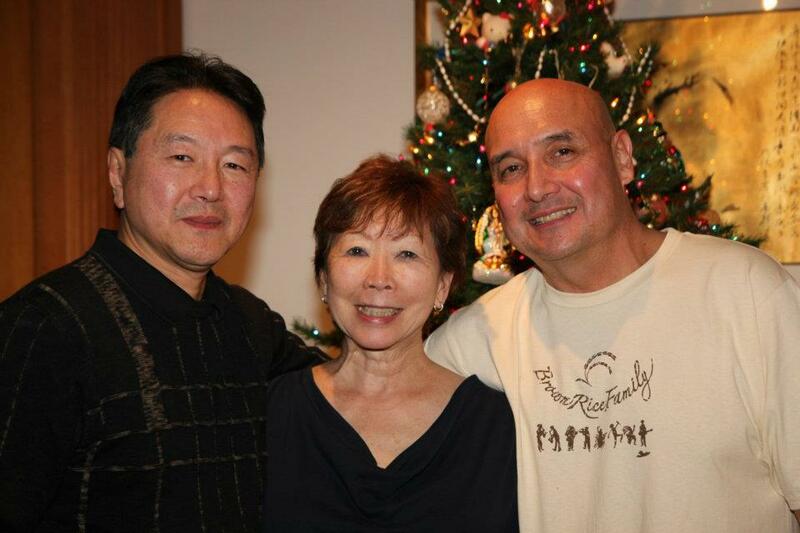 Click here for more articles on Rick Shiomi. Lia made her stage debut as Liat in the National Tour of South Pacific, with Robert Goulet and Barbara Eden, and has since documented her colleagues and contemporaries in the arts, fashion and journalism as a photographer and videographer, collaborating with other artists, organizations and companies to establish their documentary photo archive and social media presence. Lia was featured as Joy in the Signature Theater Company’s revival of Sam Shepard’s 1965 Obie award winning play, Chicago directed by Joseph Chaikin at the Public Theater. 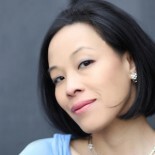 Her Off-Broadway credits include: Nobel Laureate Derek Walcott’s Marie Laveau (Castillo Theatre), Jeff Weiss’ Obie Award winning Hot Keys (Naked Angels), Raunchy Asian Women (Ohio Theatre), The Confirmation (The Vineyard), Behind Closed Doors (MCC), Lonnie Carter’s Gulliver opposite Andre De Shields (La MaMa Etc. ), Power Play (Billie Holiday Theatre), Two Gentlemen of Verona, Underground Soap, and Famine Plays (Cucaracha Theatre). Film and TV credits include: Wolf, New Jack City, Kiss Before Dying, King of New York, Big Trouble in Little China, The Last Dragon, Taxman, “As the World Turns,” “Another World,” and “New York Undercover”. Lia currently plays Nurse Lia on “One Life to Live”. Lia’s portraits and performance photos have appeared in Vanity Fair, Gourmet, German Elle, Women’s Wear Daily, The Paris Review, TV Guide, Daily Variety, Interior Design, American Theatre, Broadwayworld.com, Life & Style, OUT, New York Magazine, InStyle, Timeout.com, Villagevoice.com, Playbill.com, Theatermania.com, thelmagazine.com, The Wall Street Journal, Financial Times, USA Today, The Boston Globe, New York Times and Washington Post. A former syndicated arts and entertainment columnist for KYODO News, Lia is the New York Bureau Chief for AsianConnections.com. She writes about culture, style and Asian American issues for a variety of publications and this Backstage Pass with Lia Chang blog. This entry was posted on December 7, 2011 by Lia Chang in Asian American Artists, Asian American Issues, Asian American Pioneers, Chinese American History, Entertainment, Japanese American History, New York, Theater, Travel and tagged 1982, Ako, Amanda Galang, Asian American Pacific Islander Performing Arts Collection, Asian American Theater Company, Backstage Pass with Lia Chang, Bay Area Theater Circle Critics Award, BD Wong, Brianne Michelle Planko, Cherry Blossom Queen, Christmas, Cindy Cheung, Ed Lin, Gordana Rashovich, gumshoe, Gyu Jin Lim, in San Francisco on March 10, Japanese Canadian, Japanese Internment Camps, Jarlath Conroy, Karen Tsen Lee, Katie Lee Hill, Lia Chang, Library of Congress, Mel Gussow, mystery, Nancy Wing, New Yorker, Off-Broadway, Ontario Multicultural Theater Award, Pan Asian Repertory Theatre, political intrigue, Powell Street, private eye, private eye movies, R.A. Shiomi, racism, Raul Aranas, Reme Grefalda, Rick Shiomi, robert lee, Sam Shikaze, Sam Spade, Sons of the Western Guard, Susan Dalton Quinn, The New York Times, Vancouver, Yellow Fever.